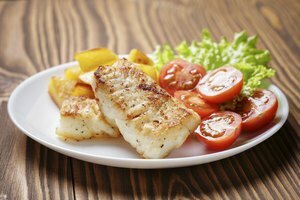 If you want to bake halibut, but the fillets are frozen you don't need to defrost them beforehand. 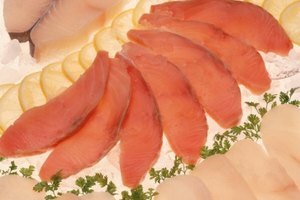 Frozen fish fillets can be cooked while they are still frozen. 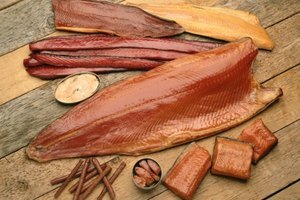 With a few other common cooking ingredients and some basic cooking tools you can be eating your fish in under 20 minutes. Preheat your oven to 450 degrees Fahrenheit. Line a baking sheet with aluminum foil, or lightly coat it with cooking spray. 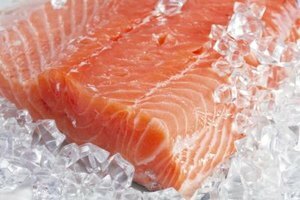 Remove your frozen halibut fillets from the packaging. Rinse the fillets under a stream of cool water to remove any ice. Pat the fillets dry with a clean paper towel. Apply a light coating of a vegetable oil such as olive, canola, peanut, grapeseed, soy or safflower. Avoid using corn and sunflower oil along with butter as they burn at high temperatures. 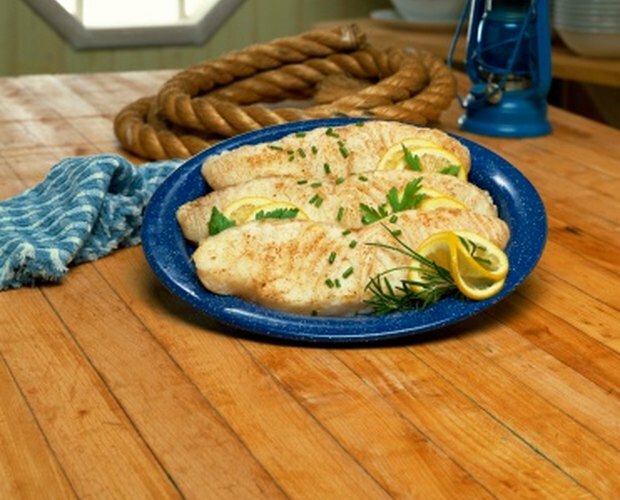 Arrange halibut fillets on your baking sheet. Bake in the oven for 4 minutes. Remove from the oven add any desired spices or seasonings to taste. Place your fish back in the oven and continue to cook it at 450 degrees Fahrenheit for an additional 6 to 10 minutes. Flip thicker fillets halfway through your cooking time. The fillets should be opaque throughout when they are cooked completely.